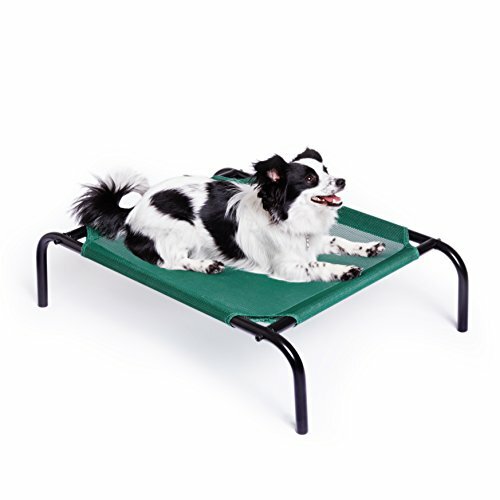 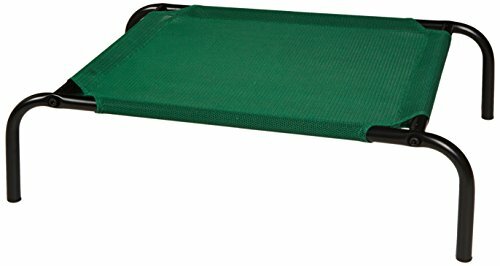 This cot is great for giving pets a comfortable and elevated spot to sleep. 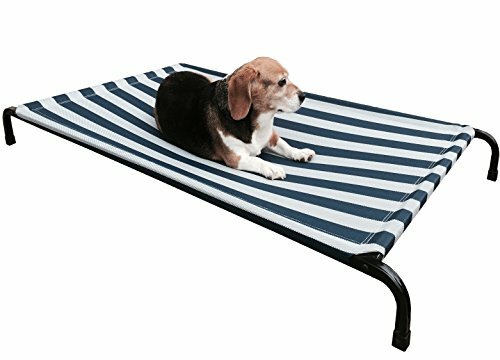 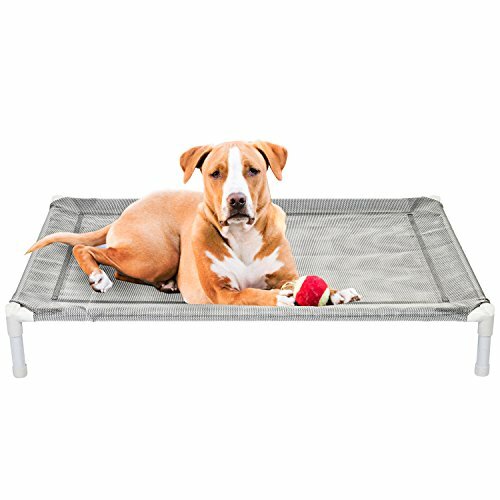 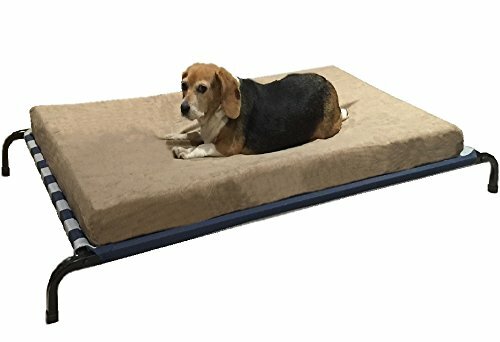 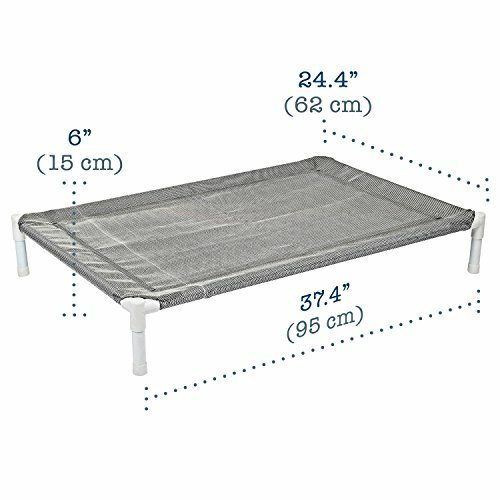 These cots are lightweight and durable which allow air to circulate underneath the pet for a healthier and more comfortable rest. 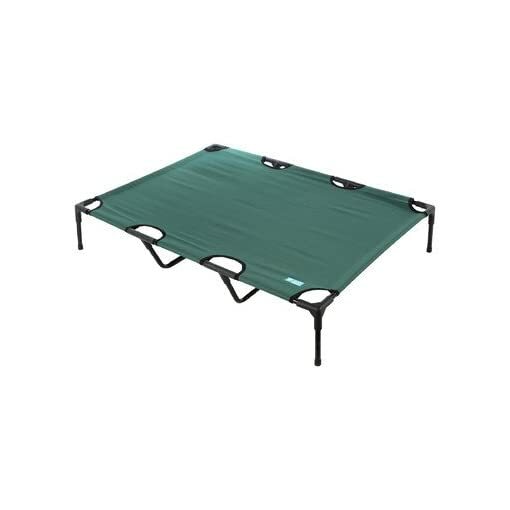 Cover is made of UV-resistant deep green polyester. 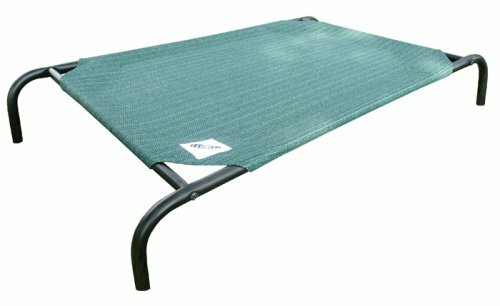 The cot has spring locks which allows assembly and disassembly in seconds without tools. 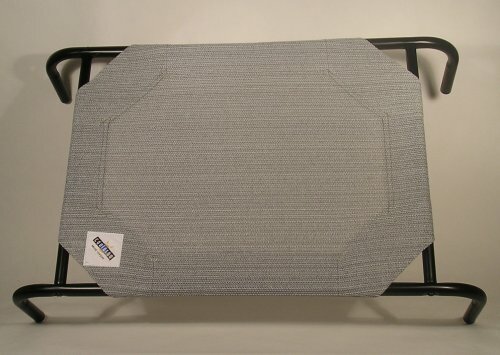 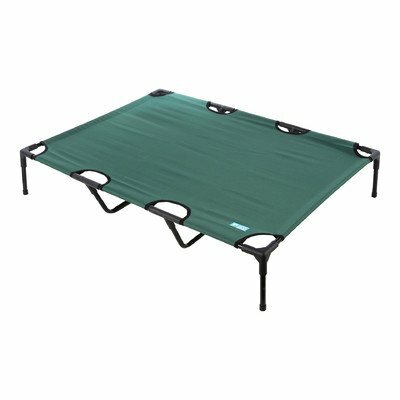 It has velcro tabs along the sides of the bed which allow the cover to be stretched or relaxed for customized tension.